Not all patient concierge programs are created equally. The success of the service is dependent on the skills and training of the people delivering it. Chris Karam, president and CEO of St. Michael Health System and Chief Experience Officer for CHRISTUS Health, echoed this thought during a Beryl Institute webinar while speaking about “greeters,” a type of concierge that CHRISTUS Health uses in some of its emergency departments. “It takes a very special person to work in that role,” said Karam. This is why Best Upon Request (BEST) has taken almost 10 years’ worth of patient service experience and created a training program of best practices called Serving The Soul ™ which teaches our patient concierges to keep the patient perspective and the hospital’s goals in mind. Last month on the blog we touched on the rigorous vetting of candidates during our hiring process to find that “special person” but their skillset is further refined by Serving The Soul™ training. BEST wants your patients and their guests to have the best of both worlds: compassionate care and positive medical outcomes. Both research and experience tell us that patients often feel that the former is missing. 1. Patient’s perception of how well their needs are being met. 2. Patient’s perception of their space. 3. Guest’s perception of how well they’re being treated as visitors. 4. The level of positive interaction patients have with their care team. We achieve this by working in a revolving cycle of needs management that focuses on the patient and their guest’s non-medical needs and wants. 1. Assessing the patient’s current state. BEST concierges acquaint themselves with patients and families while simultaneously assessing their needs by gently asking open-ended questions. 2. Anticipating needs and wants. Often, the non-clinical needs and wants of patients and their guests are reoccurring. Serving the Soul™ training emphasizes the cyclical nature of requests and empowers our concierges to build them into their daily service offerings. 3. Taking immediate action to fulfill every request. 4. Advocating for the patient. We understand that hospitalizations are stressful and that your clinical staff is working their hardest towards positive clinical outcomes. Our concierges work in tandem with your staff to effectively communicate the needs and wants of patients and their families to strengthen the relationship and therefore the overall patient experience. BEST understands the constraints and challenges of providing great care. In today’s healthcare market, it’s no longer about just getting people well it’s also about their experience. Our patient concierge program is used by hospital systems that are interested in taking the BEST possible care of their patients and patient families. 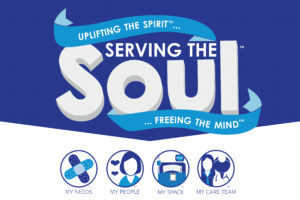 Serving The Soul™ is the beginning of the patient concierge journey, and at this critical stage, we train our team to view each patient interaction as a sacred opportunity to serve. Through service, our concierges ease the stressors of patients and their families to create the mental space needed to focus on healing.